Mexico as a tourist destination often gets a bad rap. We’ve all heard the rumors of the poverty, the drug cartels, and corrupt federales. Perhaps you saw the movie Get the Gringo and decided Mexico is not for you. While I can’t tell you that those unsavory elements don’t exist in some parts of Mexico, I can guarantee you that visiting the Yucatan will be an entirely different experience. The Yucatan peninsula feels like a country apart from Mexico. The people there are proudly Maya and fiercely independent. Spend a short time in the region and you’ll come to realize that Mayans have a sense of “otherness” and are resistant to being absorbed into Mexican sovereignty. The geographic isolation of the Yucatan yields unique treasures not found in other parts of Mexico, and the pre-Hispanic cultural of the Maya manifests itself through a warm and generous people. Mayan swing performers. We were like giants among them. 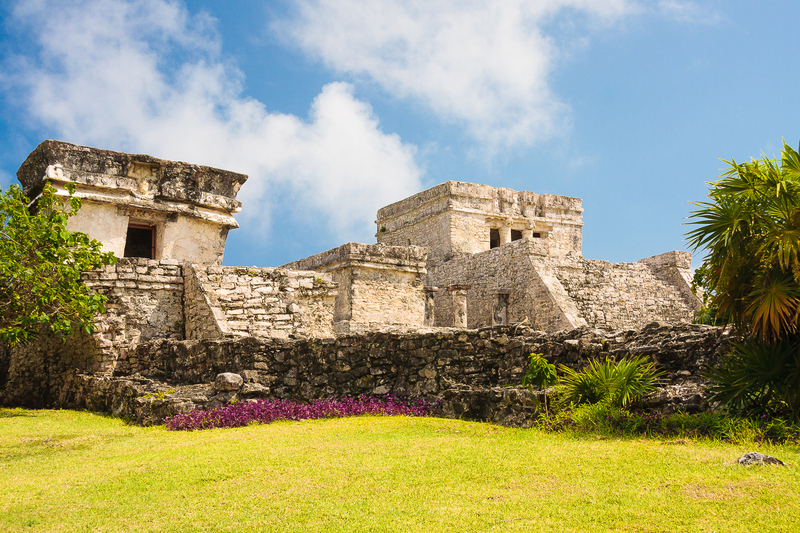 The Yucatan is huge and there is so much to see and do. This itinerary is designed to maximize an ambitious 8-day time frame. If you plan to spend less than an week, we recommend modifying this itinerary and focus on locations closer to the eastern coast. For those desiring a slower pace, 10 days, or even 2 weeks, would be a more optimal time frame for a visit. The high season in the Yucatan runs from the end of November to the first week in March. The weather is cooler during those times, attracting more visitors (and higher prices). Temperatures and rainfall are highest from May through October, with lower prices and less tourists. Summer months can be a real bargain, if you can stand the heat. In our opinion, the shoulder season of mid-March to mid-April is the prime time to travel to the Yucatan. The weather will be very comfortable and prices will be less expensive. Be aware that if Easter falls in April, however, prices will be higher around that time. Access to the Yucatan from the US is generally via Merida (Rejon) International Airport or Cancun International Airport. Flights to Cancun are generally less expensive than flights to Merida and so that’s where this itinerary begins. Expect to find flights from the US to Cancun ranging from around $350 during the non-peak seasons to around $600 during the high season. ADO (pronounced “ah-deh-oh”) is the main long distance and inter-city bus carrier in the Yucatan Peninsula. We found the ADO bus system to be very reliable and efficient. The buses are clean and well maintained. Most ADO employees spoke a modicum of English, but a passable understanding of Spanish can come in handy when navigating the bus system, especially in smaller towns. For rates and schedules, visit the ADO website (in Spanish). Be aware that when the ADO website quotes prices using the $ symbol, the rate is actually in Mexican Pesos. Don’t freak out when it advertises a bus fare at $74; converted to US Dollars, that rate is only $5.50. The stereotypical slow life rings very true in the Yucatan. While not everything happens mañana, the rhythm of life becomes relaxing and moderately paced. If you truly want to enjoy what the Yucatan has to offer, don’t be in a rush. Thanks for these posts! 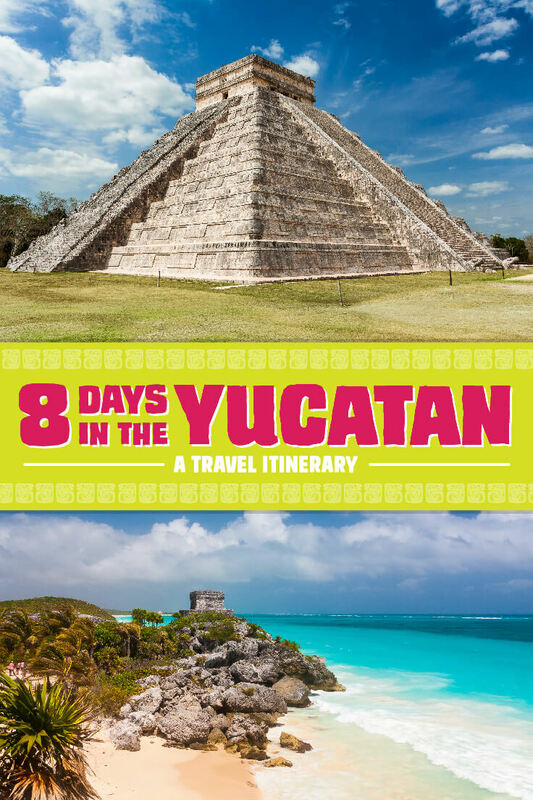 We just got back from our 7 day trip to the Yucatan, with a very similar itinerary (that was modelled somewhat after yours). Matt, that’s awesome! Hopefully you enjoyed southern Mexico as much as we did. 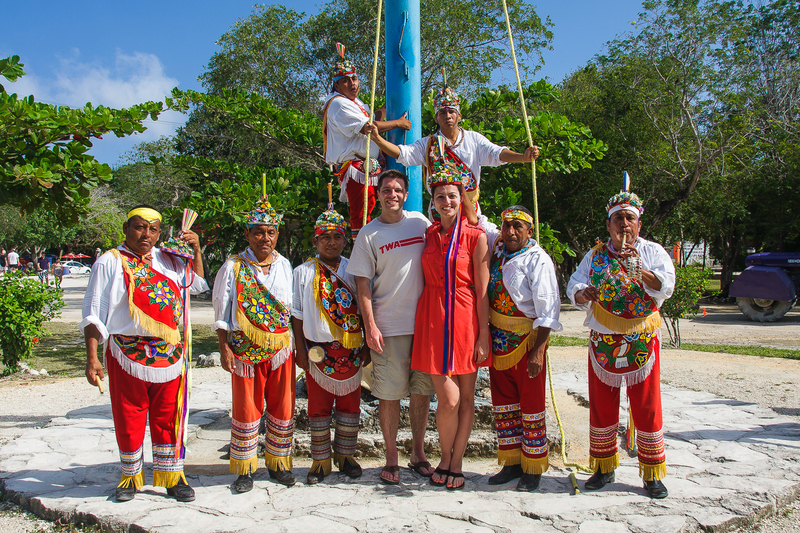 Thank you so much for your series of posts about how to plan a Yucatan itinerary. I’m planning a trip now and your posts have been so helpful. Great photography, too! Erica, glad it can be of some help. Enjoy the Yucatan!